Cult News 101 - CultNEWS101 Library: Are you susceptible to brainwashing? 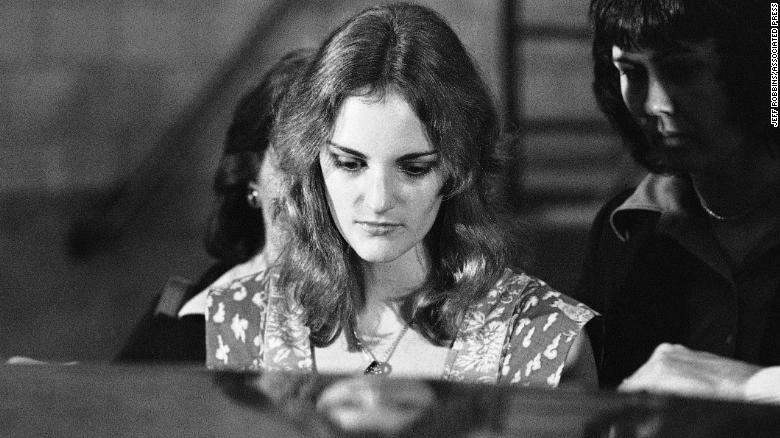 For more on the Patty Hearst case, watch "The Radical Story of Patty Hearst" at 9 p.m. ET Sundays on CNN. (CNN) Steven Hassan was a college junior in the mid-1970s when he was recruited into the Unification Church, a cult also known as the "Moonies." Hassan said he quickly came to believe that Armageddon and World War III were imminent. The Moonies, he thought, were singularly tasked with saving the world. "It only took a few weeks to get me convinced that the Messiah was on the Earth, even though I'm Jewish," said Hassan, author of "Combatting Cult Mind Control." It wasn't until he met with ex-Moonies, albeit reluctantly, that he began to leave the cult 2½ years later. "I was an off-the-charts, fly-a-plane-into-the-World-Trade-Center-if-Father-ordered-you-to Moonie," he said of the group's leader, Sun Myung Moon, whom the members called Father. "I was sure they wouldn't be able to make me betray Father. I wanted to prove to my parents that I was not brainwashed or mind-controlled." Hassan, now a licensed mental health counselor who specializes in helping former cult members, said that just about anyone's mind can be controlled in similar ways. Other experts have long pushed back against the concept of brainwashing, arguing that it is a loaded term that doesn't hold up to scientific scrutiny. "Every time I use the term, as you may have noticed, I usually put it in quotes, which means there's something wrong with it," said James T. Richardson, professor emeritus of sociology and judicial studies at the University of Nevada, Reno. "It defines the person as a passive object that has no will of their own, and it defines anyone with any apparent perceived influence over them as some kind of evil person manipulating them psychologically," said Richardson, who believes that there is often an element of choice on the former's part. The American Psychiatric Association's official manual of mental disorders lists "brainwashing" and "thought reform" as possible root causes for a dissociative disorder, a type of disorder that can affect one's memory and sense of identity. Richardson maintains that "brainwashing" is not a scientific term and has called the most recent edition of the manual a "step backwards." The term "carries so much baggage," he said. The concept of "brainwashing" became popular in the United States around the 1950s, when the Communist Party took power in China and when a handful of American prisoners decided to stay in North Korea after the Korean War, according to Richardson. Before long, the term was cropping up everywhere. "All of a sudden, it just exploded, because it's such a handy social weapon to use against any group that you're not happy with or any unpopular group," Richardson said. "It automatically defines them as being outside the pale of civil society." The concept of brainwashing continued to surface in popular culture with the 1962 film "The Manchurian Candidate" and the high-profile criminal trial of kidnapped heiress Patty Hearst, who insisted that she was tortured and brainwashed into joining a terrorist group and committing crimes. Richardson said her trial was "a real watershed event" that further solidified brainwashing in popular culture. Hearst's brainwashing defense failed in court, but her seven-year sentence was commuted roughly two years later by President Jimmy Carter. She was eventually pardoned by President Bill Clinton. "What was the chance Patty Hearst was going to become a bank robber without being violently kidnapped, thrown in the back of a car, put in a closet and mind-controlled for days and days?" asked Hassan, who was coincidentally recruited into the Moonies the week Hearst was kidnapped. He said he felt a certain empathy for her while she was on the run from authorities and later stood trial. Even Richardson, generally opposed to the term "brainwashing," said that "if you were ever going to use the term," Hearst's violent case is the closest you might get. "I had a secret life that nobody knew about," said social psychologist Alexandra Stein, author of "Terror, Love and Brainwashing: Attachment in Cults and Totalitarian Systems." Stein was 26 when she joined a political cult in Minneapolis -- the O, it was called -- though she didn't really realize it was a cult at first. The organization controlled her life throughout the 1980s, isolating her from her from friends and keeping her sleep-deprived with multiple jobs, including one as a computer programmer and one at a bakery. "I didn't know the warning signs. I thought that every cult was like Heaven's Gate," she said, referring to another cult in which people who believed they would join a UFO behind the Hale-Bopp comet took their lives in a mass suicide in the late '90s. Stein, who had just left a relationship when she joined the cult in Minneapolis, remembers feeling lost and confused, like they could offer answers she didn't have. It broke her down, she said. Richardson believes that some people are more susceptible to being recruited by groups like cults and new religious movements. Someone who is emotionally vulnerable, who suffered abuse or neglect as a child or whose relationship with their family is strained may be more easily converted, some scholars have argued. But Stein said that "the vulnerabilities are situational, not dispositional." At the wrong time in someone's life, anyone could find themselves vulnerable to manipulation and mind control, as she did. "Any human being is going to have situational vulnerabilities throughout their lives," Hassan said. "Whether it's the death of a loved one or some illness or moving to a (new) city ... that's going to create a vulnerability that then a cult recruiter can deceptively appeal to." Cults don't want people who are "disturbed" or unstable, because they can be more difficult to control, Hassan argued. He said groups often target productive, smart people who can work and donate money to the cause. Richardson doesn't deny that manipulation and coercion can occur -- he describes what happened in Nazi Germany as "indoctrination," for example -- but he believes that ex-cult members weren't as passive in joining groups as the term "brainwashing" might suggest. Some who joined cults in the '70s might have been influenced by their opposition to the Vietnam War and fears of getting drafted, for example. He also worries about the implication that "medicalizing" brainwashing could have on court decisions, which have traditionally not been very receptive to brainwashing as a criminal defense. On one hand, Stein believes that proof of brainwashing is self-evident: "How do you explain Heaven's Gate?" On the other, Richardson believes that people are looking for "a simple explanation" to a more complex issue. "We just cannot except the fact that a person could make a ... decision, based on what they know of what's happening to them, to do something so unusual," Richardson said. "We hit a blank wall." "We can be programmed with specific mind control techniques and methods to shut off critical thinking, to have irrational fears or phobias implanted in our minds that take away our choices," Hassan said. In his clinical work with former cult members, he said, he aims to increase their self-awareness through means such as having them research how other groups work and revisiting the memories of their cult experiences. When Stein left the cult in Minneapolis, her critical thinking "clicked back" almost immediately. What took longer was coming to terms with the previous 10 years, reinterpreting what had happened to her and getting her life back on track. "The nature of these groups, of isolating you, means that you have no friends on the outside," no job, no housing, she said. "You certainly don't have an identity that's separate from the group when you leave." But she also experienced a lot of joy when she came out of the group, she said. "It's like I had gone from a monochromatic experience to one with full color. It was almost as physical and visual as that." She doesn't like it when people assume it could never happen to them. To that, she responds with a twinge of sarcasm: "Maybe you just haven't met the right cult yet." "We all want to believe that we're in control of our minds all the time," Hassan said. "Cults love people who say 'it could never happen to me,' because it because it makes them that much easier to recruit." "I would've said that if it hadn't happened to me."